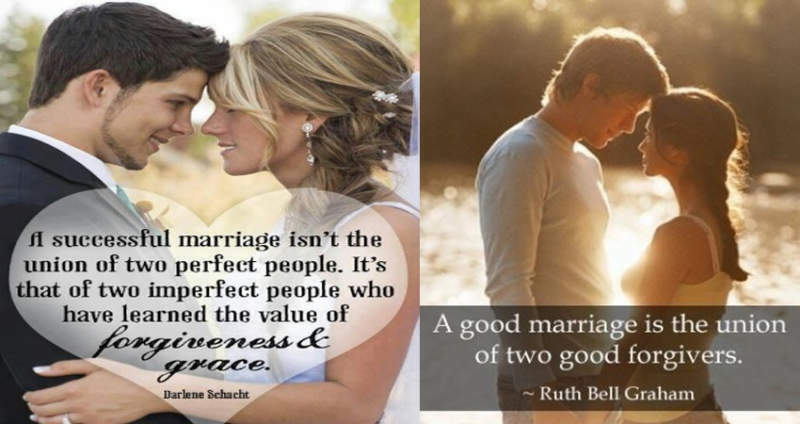 Is a family wedding around the corner? Are you looking for a bright salwar suit for your son’s birthday party? Have a college event soon and searching for the right outfit? Ladies! Rest Assured! We have got you covered with these brilliantly made Red Salwar Kameez suits! The red colour is associated with boldness, optimism, love, passion, and energy. If your personality suits any of these qualities, Red salwar suits are a perfect choice. The best part of these outfits is that the many shades of red can suit any occasion or time of the event. From a grand wedding to a simple get together at home, red salwar suits can make you photo-ready! Here are the top 15 Red colour Salwar Suit Patterns for every glam doll! The colour red can be used for dyeing almost any fabric. White natural materials like cotton, silk, jute or linen have varied shades depending on the absorbing properties of the threads, artificially dyed fabrics feature bright and bold hues. Georgette, chiffon, net, velvet, crepe, rayon, Lycra, shimmer, etc., are some of the favourite fabric choices. Red is a colour that is usually associated with fierce nature, rebelliousness and of course, confidence! This is why red salwar suits are an instant hit with college girls and young women in particular. However, opting for muted red coloured fabrics make these outfits suitable for middle-aged and elderly women as well. Let’s have a look at top 15 red salwar suits designs for ladies. Looking for a perfect wedding outfit? Check out this intricately done Red Pakistani Salwar Kameez suit which comes in a three-piece set. The top is heavily adorned with thread and crystal work, while the bottom is a wide-legged Palazzo pant designed in net fabric. A plain red net dupatta enhances the overall look. 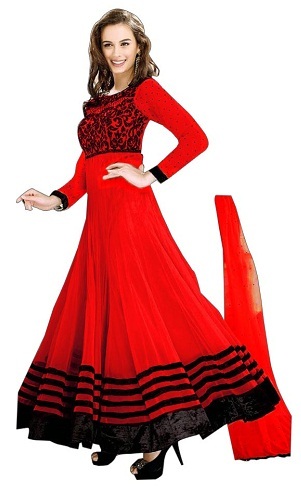 This is one of the best red salwar suits for women! Nothing can beat the minimal beauty of a plain red salwar kameez suit. This simple, yet classic Kota Doria salwar kameez looks elegant even without any embellishments. The ankle length Kurta comes in a high neck, sleeveless pattern and matched with Straight salwar trouser. A printed white and red chiffon dupatta elevates the beauty. No wedding collection is complete without a red outfit. This Bridal red wedding salwar kameez is designed in a floor-length Anarkali model with heavy golden embellishments all over the body. A golden mesh pattern adorns the waist and the sleeves portion. Wear it with gold Chandbalis and a neat bun to look stunning! 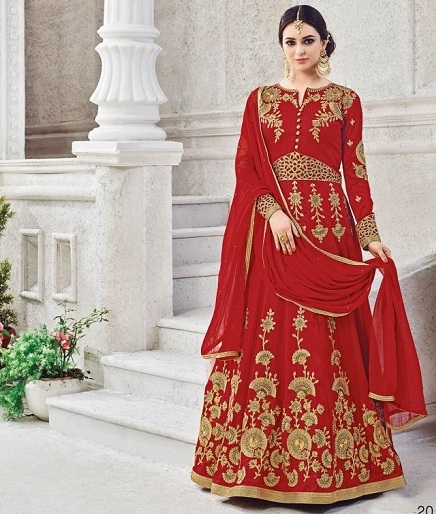 If you are looking for a unique designer wear red salwar kameez suit, check out this stunner! 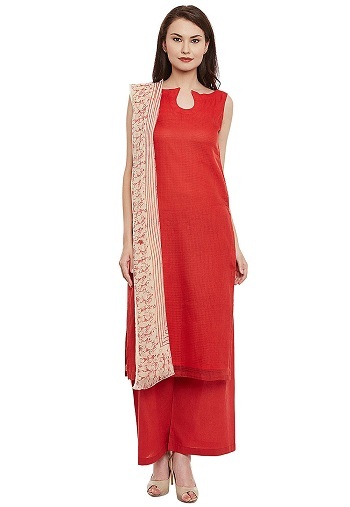 The plain crepe high neck red Kurta is designed with a beautifully made netted dupatta. Intricate floral thread work in the net fabric lends an aesthetic look to your outfit. Wear it with statement accessories to look like a million bucks! A cotton dress is indispensable to an Indian women’s wardrobe. This red and black cotton salwar suit comes in a beautifully designed Kurta with blue and yellow patchwork designs. This tastefully salwar is given with a black patch on the yoke part with simple red motifs. A plain black dupatta and Churidar makes it one of the best pieces. Black and Red is an ethereal combination which never goes out of style. This beautiful Pashmina work black and red salwar suit is ideal for evening wear. The neck part is handcrafted to perfection. The side cuts and the yoke are designed with red embroidery work to make this an elegant piece. As the colour red gives you a traditional and ethnic appearance this long flared salwar suit stands correct perfect on it. The tight fitting at the bust line with flares at the waist makes you appear fashionable yet elegant in this red salwar suit. This type of bandhej print red Patiala pants looks very cool when worn by young girls. The short kameez with beautiful intricate embroidery at the neckline and on the sleeves add more charm to the suit when worn. It is best paired with red beaded accessories to look stunning! Simplicity also looks elegant and classy; the same goes with this red colour suit. The V shape neckline, with golden patchwork at the bottom and the white and red dupatta enhances the appearance. The suit can be worn at good official wear, and a smart college wear also. This is wonderful red salwar kameez designs in the wedding. An Angrakha salwar suit in red is the revised version of former tunics worn by musicians and royal courts. These suits look very fabulous when appearing feminine and stylish when worn. The cuts and the pattern of the suits give a person and traditional and extraordinary look when worn. Here comes a red colour party wear salwar kameez for the party lovers. The suit is designed in georgette fabric, and the intricate golden work makes this suit perfect for any party. As the suits looks gorgeous, minimal accessories would be required to get that glamorous and hot looks. This type of heavy long red kameez salwar designs with golden zari work along with stone embellishments makes the suit appear remarkable and unique when worn by brides on a special day. The long sleeves with embroidery in it, along with contrast dupatta with small hangings hanged at the edges makes the outfit a special and unique. This is a perfect outfit for special occasions for a great look to you worn. The red colour suit with all over thread embroidery highlights the suit. The round neck with golden and red thread embroidery along with small motifs the sleeves makes the salwar kameez appear magnificent when worn. Wear this red dress salwar Kameez suit with gold accessories to look stunning! This type of short Patiala Punjabi salwar kameez is very trendy and popular among young girls as it makes them appear cute and stylish when worn. The deep V neck along with golden lace embossed at the edges of sleeves, pants, and kameez with printed dupatta makes the outfit appear glorious when worn. 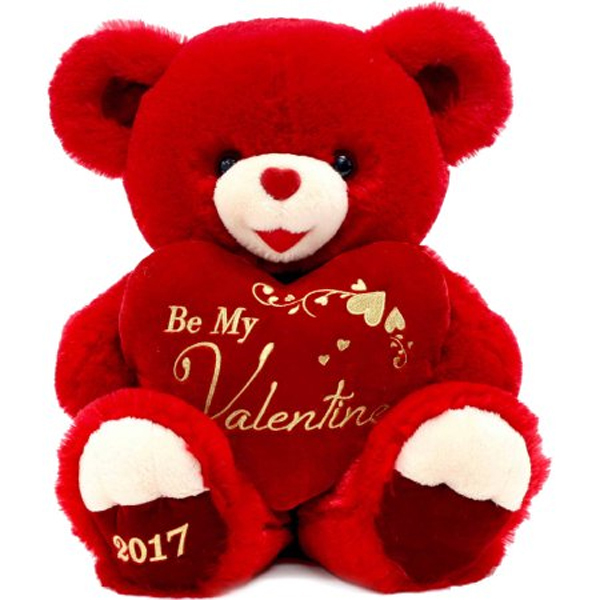 Here comes a marvellous looking red colour suit designed in net fabric. The outfit has a nice fall along with umbrella cut and the artistic silver work at the neckline gives an extra edge and appearance to the salwar kameez and the wearer also. How To Style Red Salwar Suit? Opt for a nice French braid or go for loose curls to steal the show! Contrast colour bag and metallic sandals can make you look complete! Impressed with these 15 Red salwar suit designs? We bet you are! These stupendous pieces can make you look lovely without having to try too hard! Plus, they suit almost any body type, skin tone and age group. Whatever the occasion, a red salwar can put you under the spotlight and earn you tons of compliments. So, folks! Choose your favourite piece and get ready to flaunt this festive season! ← Previous Story Rock The Desi Boy Look With 15 Men’s Salwar Kameez Designs! 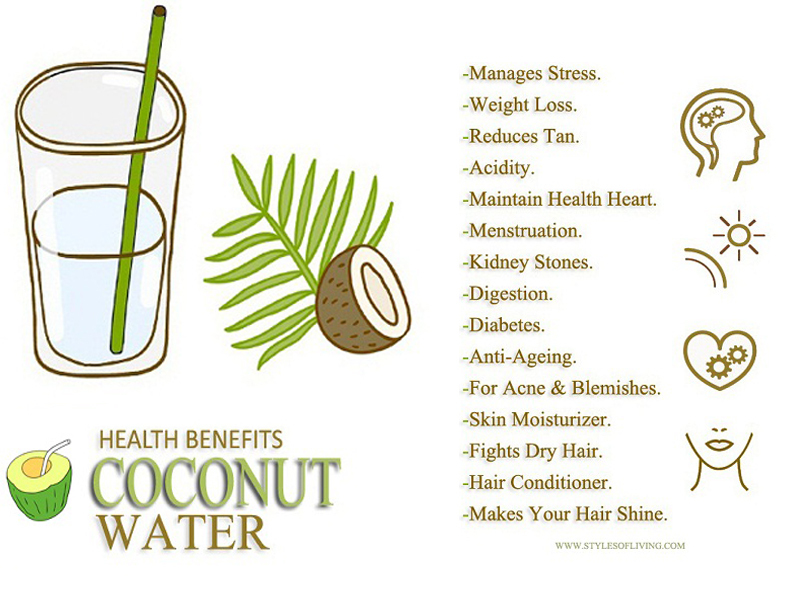 Benefits Of Coconut Water : 25 Amazing List – You Should Know!